For some, it’s the ultimate dream to be free of work. Many others view it more like one client of ours, who described it so bluntly as “one step closer to getting the Old Yeller treatment.” Even old Webster went morose in his definitions, talking about withdrawing from active life or removing oneself. It’s hard to find a definition that doesn’t evoke feelings of disengagement or a finale, right? Fortunately, our experience of working closely with retired clients every day tells us otherwise. 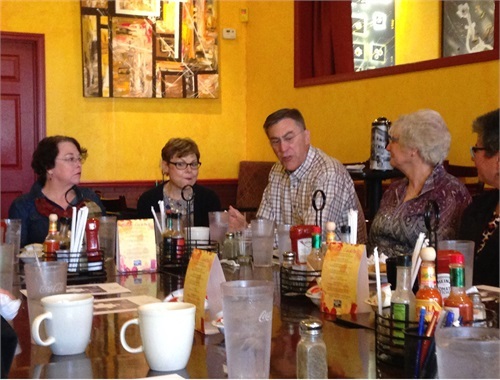 Along with eggs and coffee, our clients/friends shared words of wisdom, personal stories from their lives and unique retirement transitions. They told of how losing parents or a spouse changed plans in an instant. Or, conversely, how taking care of an aging parent can affect your own retirement. A few themes kept bubbling up. One of them was time. How do you spend your time in retirement? Answers ebbed from the practical to the philosophical. 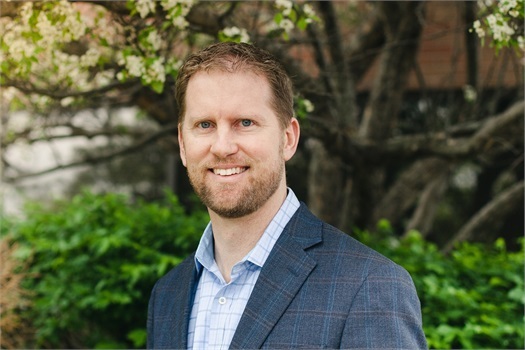 Some crave a routine to feel organized and on task (“I spent 40 years getting up at 4:30 am every day and going to work, so I need structure…”), while others relish the freedom that comes with leaving their workplace time constraints behind. As one person said, “Getting up in the morning and piddling around in the garden or the garage is the best thing in the world!” This was followed by rousing approval from half of the group, which got some curious looks from our fellow diners. In short, there was no consensus on the perfect way to structure retirement time. Some admitted struggling the first few months to find a routine (or lack thereof) that fit their personality. The sentiment we’ve heard from many clients through the years is simply: Give yourself grace. You don’t have to have it all figured out. It’s a work in progress. Most of our clients express a desire to volunteer more when they retire. And yes, opportunities abound. One gentleman found that volunteering at his local golf course fulfilled his competitive spirit and gave him a strong sense of community—not to mention stronger calves. There were conversations about trying new things and new experiences, but also warnings about overcommitting. A philanthropic-minded person can easily say “yes” a few too many times and quickly become busier than ever, having no time or energy left for anything else. 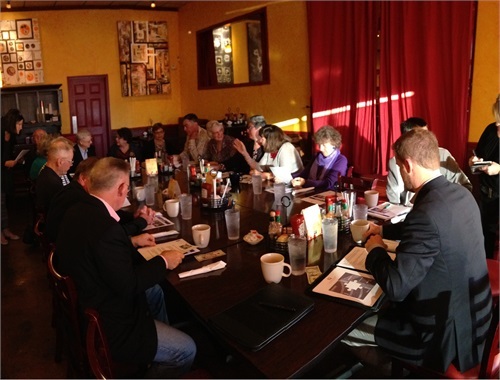 Thinking back to our first group breakfast, I’m so encouraged to hear stories of clients thriving in retirement. 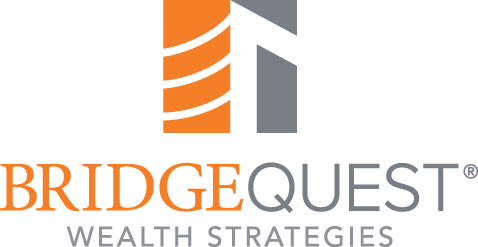 We’re truly fortunate at BridgeQuest Wealth Strategies to be a part of that. 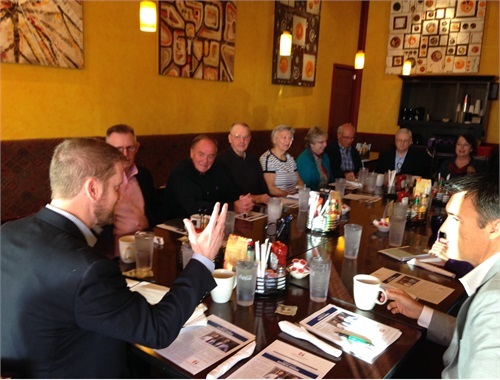 I want to extend a big thanks to everyone who attended and shared their experiences and wisdom—who showed the sunny side of retirement. We heard probably the best definition I’ve ever heard: “Retirement is being able to spend time doing the things we love with the people we love.” Maybe Webster should add that one.